Mercia MacDermott is author of Explore Green Men. 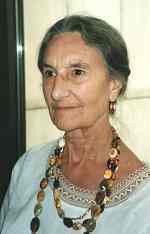 She read Russian at Oxford and then specialized in Bulgarian history and culture. Her previous publications include studies of Bulgarian folk customs and national liberation movements against Ottoman rule. She began researching Green Men in 1996.